It’s hard sometimes to see the Lord in your midst when things are going well but He becomes very recognizable when the enemy comes in like a flood. Especially, when you know Him. Deborah Simpkins is a powerful motivational speaker, minister, entrepreneurial and author/publisher. I was super excited to interview Mrs. Simpkins regarding her new book Ministers with White Collars & Black Secrets: The Truth Exposed. Although, I did not read the book prior to this interview. Based on the title, the principle remains the same. One which comes to mind, you will reap what you sow. I am glad to hear Mrs. Simpkins account regarding her church hurt experience. An experience many try to keep silent about. In order for us to heal, sometimes you have to talk about it. Amen. I believe this interview will help everyone who listens. 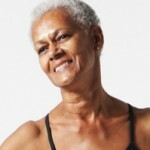 Born in 1942 in New Orleans, Louisiana, Janice Lennard has been involved with ballet, yoga and pilates through study, practice and instruction for over 65 years. Her early immersion in artistic expression through dance probably explains her ability to project an aura of positioning perfection, fulfillment of purpose, and sheer fun for the observer of her beautifully synchronized motion. With enchanting ease, grace and warmth, Janice’s artistry captivates her audience with every musically infused movement. Janice Lennard says as long as she can she will teach others. Yoga requires great discipline and can be empowering. I had the pleasure of speaking with Janice Lennard regarding her passion and teaching. Tune in and learn how to be fit for life. Tonya Moore may wear many titles but her best title is overcomer. She is an author, entertainment executive, entrepreneur, and mother. The multi-talented Tonya Moore has recently added a single You Are The Source Of My Strength to accompany her book I’M All F*d (Freed) Up: The Story of My Life. Her single is a love song to God, praising Him for His faithfulness. 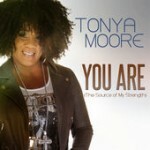 Tonya Moore is very humble when explaining that her Cd is not for vain glory but paying honor to God. Her testimony might make you shout and rejoice with us. Tonya explains in detail how she birthed this project out and I believe it will serve as a good ministry tool for most. It is her personal cry from her heart to our Heavenly Father for all He has done. 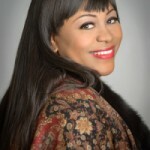 Acclaimed songstress Michelle Carr was raised in a musically rich and diverse environment, harmonizing with her family around the fireplace in Alta Loma, California; Singing in her high school’s choir, musical productions and performing every season with the community theater. Her love of music is boundless, embracing artists as diverse as Sarah Vaughan, Leontyne Price, James Taylor, Joni Mitchell and her mentor Nancy Wilson for inspiration. Michelle Carr earned degrees from both California State Polytechnic University and The Juilliard School in New York City where she studied classical voice. She also studied jazz piano with Johnny “Hammond” Smith and was a member of his vocal jazz ensemble and worked with Jazz Trumpeter Roy Hargrove, Contemporary Jazz band Hiroshima and bassist Christian McBride’s funk band Escape Route. Years of classical training and a keen understanding of musical composition, arranging and vocal technique have provided her with the foundation to create a style that embodies classical, Jazz, Pop, R&B and Folk, which she has done with passion, emotion and technical precision. 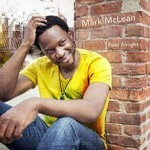 Mark McLean’s recently released album, FEEL ALRIGHT is a triumphant work that is being welcomed by music enthusiasts regardless of genre preferences. It effectively features seven artists lending their skillful vocals on a myriad of styles from Soul, Blues/Funk, Pop/Rock, to Jazz both Cool & New Orleans-hot. The singers, musicians – the entire ensemble, with multi-talented Mark McLean at the helm, adroitly break all the rules on FEEL ALRIGHT with 11 eclectic tracks, each one a stand-alone success. Mark has been quoted as saying: “I don’t want to be seen as a drummer, I want to be known as a musician whose instrument just happens to be drums”. The film UNBROKEN is produced and directed by Academy Award® winner Angelina Jolie UNBROKEN, an epic drama which follows the incredible life of Olympian and war hero Louis “Louie” Zamperini (Jack O’Connell) who, along with two other crewmen, survived in a raft for 47 days after a near-fatal plane crash in WWII; only to be caught by the Japanese navy and sent to a prisoner-of-war camp. Featuring Japanese actor Miyavi as the brutal camp guard known only to the men as The Bird. This is a film to remind us how important it is to celebrate life. 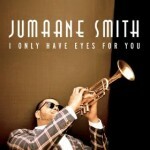 Jumaane (JEW-MAH-KNEE) Smith, trumpeter and vocalist, released his first album I Only Have Eyes For You. Jumaane Smith has grown to be a much sought after trumpeter. He is currently touring promoting his new project I Only Have Eyes For You and will be at Joe’s Pub in New York on November 28th. His collaborations range from pop idols to jazz legends. He’s worked with Stevie Wonder, Quincy Jones, Michael Buble’, Jackie Evancho, Alicia Keys, The Jonas Brothers, Wyclef Jean, Justin Bieber, Diddy, Natalie Cole, James Ingram, Wynton Marsalis, Ravi Coltrane, Chris Botti and many more. In a world of auto tunes, there is a refreshing sound in the air. Sound the trumpet Jumaane Smith is here.